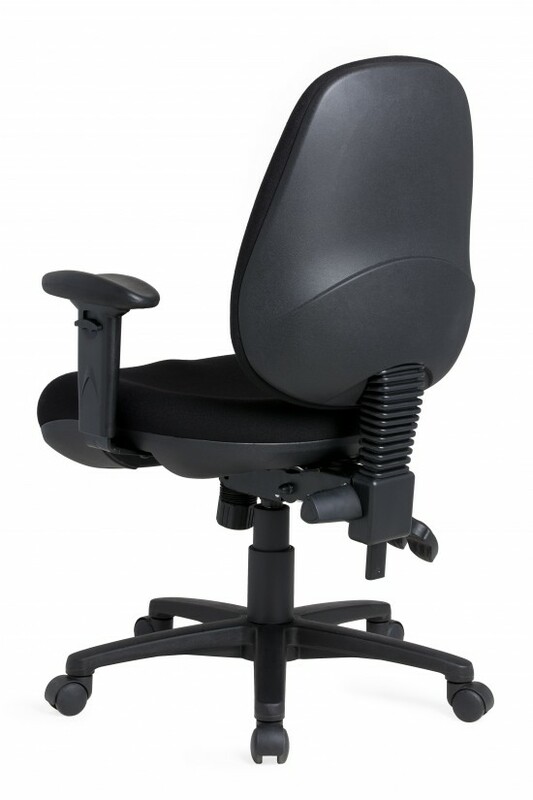 Della available in high or medium back with fixed arms and black adjustable arms. a heavy duty option is also available. 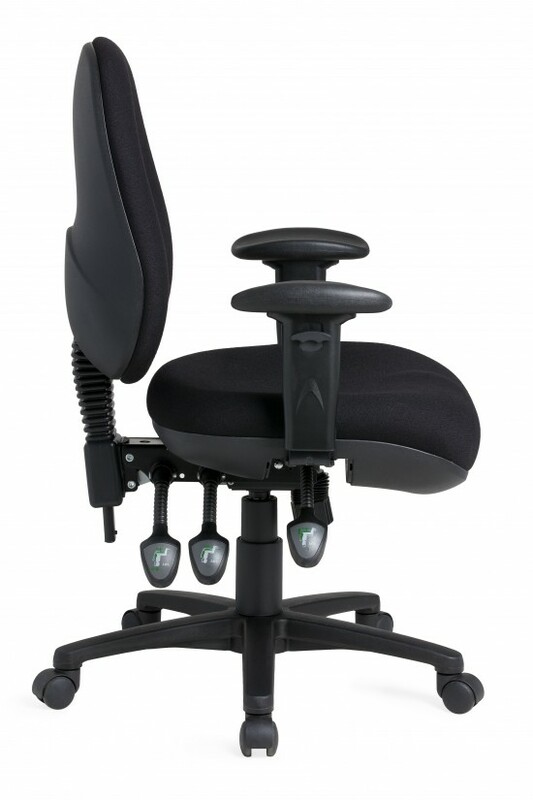 australian made della task chair is available 2 and 3 lever manual or ratchet back mechanism. 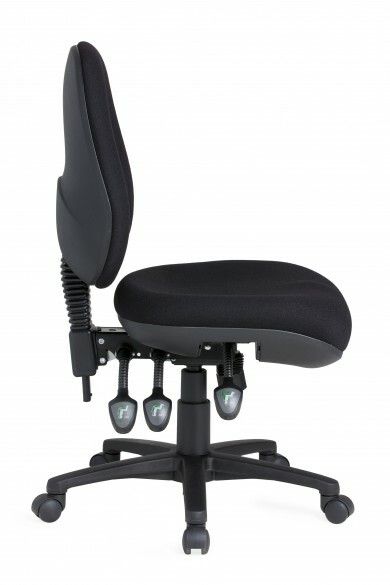 standard moulded seat foam and standard black or polished alloy 5-star base. Geca and ARFDI 6 certified. 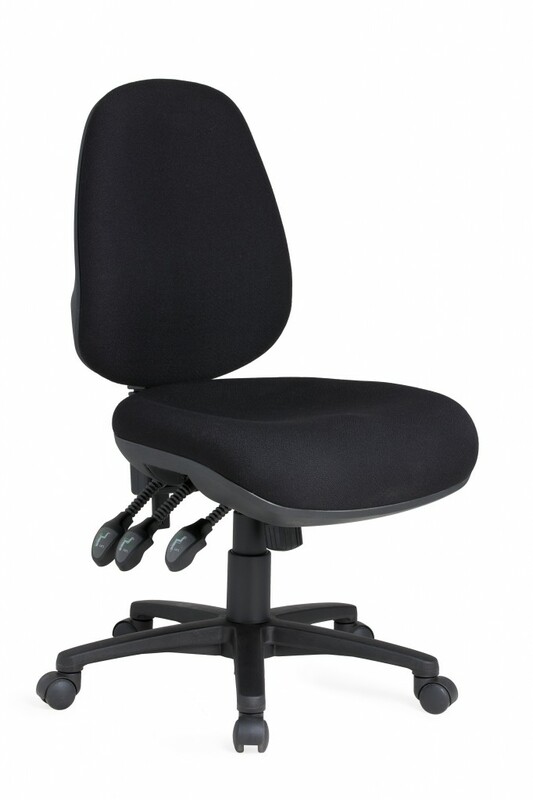 10 year commercial warranty and is available in customers own fabric.